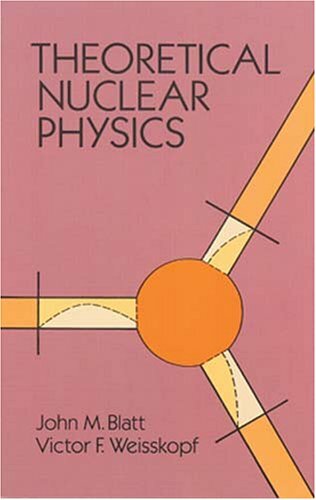 An uncommonly clear and cogent investigation and correlation of key aspects of theoretical nuclear physics by leading experts: the nucleus, nuclear forces, nuclear spectroscopy, two-, three- and four-body problems, nuclear reactions, beta-decay and nuclear shell structure. Directed to the experimental physicist working in nuclear physics or graduate students who know the essential concepts and problems. Some concepts in relativistic heavy ion collisions are discussed. To a large extent, the discussions are non-comprehensive and non-rigorous. It is intended for graduate students who are intending to pursue career in high energy nuclear physics. These notes provide a pedagogical introduction to the subject. Topics covered include an introduction, inclusion of scaling violations in chiral perturbation theory, partial quenching and mixed actions, chiral perturbation theory with heavy kaons. This book brings new research insights on the properties and behavior of gamma radiation, studies from a wide range of options of gamma radiation applications in Nuclear Physics, industrial processes, Environmental Science, Radiation Biology, etc. This work introduces into the Interacting Boson Model, created in 1974 and then extended by numerous papers. Many-body configurations with s- and d-boson states are described and creation- and annihilation-operators for bosons are introduced.